Hi, my name is Paulino. I live in the Bay area. I am a Certified Senior Technician and Custom Door Installer for Precision Door Service. In my spare time I enjoy spending time with my wife and going to visit my adult children in southern California. "Technician was on time. Pleased with the work that was done (garage door and garage door opener installation). I would gladly recommend this company in a heartbeat." "They came prepared for any problem"
William, To save you time, we can fix 98%+ of jobs in one visit because our trucks are filled with parts and our technicians are hightly trained. 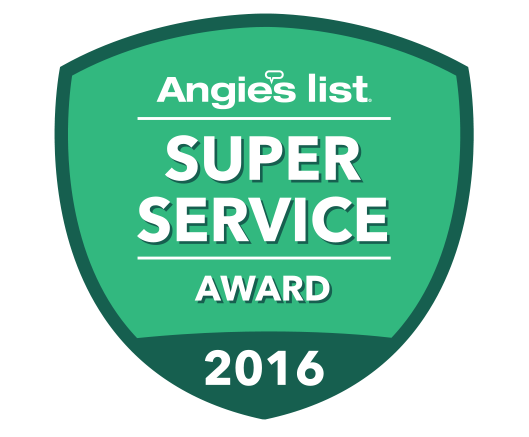 "This company is top notch all the way and I highly recommend: customer service, prompt and courteous communication, excellent and service." We will always tell you that we will give you at least 30 minutes advanced call so you can go about your day and then meet us at your home when needed. "Paulino really helped me to understand the issue regarding the repair of my garage door. He gave great advice for maintaining my garage door as well. Excellent job! I would recommend Precision Door Service to my neighbors." "The technician provided excellent service. He was prompt, clean and respectful during the repair of my garage door. Will definitely recommend Precision Door Service as I am a repeat customer. Very satisfied!!" "After some trouble shooting of the garage door opener, it turns out the wiring to the sensors appeared to be shorting as the door almost reached the ground. Replaces the wiring to the sensors and everything works well again. Thank you for the prompt and friendly service. I'm a happy customer." "great service - nice guys who worked on the broken springs. would call you again for any service!" Jacques, Thank you. We are a local, family owned business, so we would sincerely appreciate you referring us to your friends, family and neighbors! It is our pleasure to serve you. 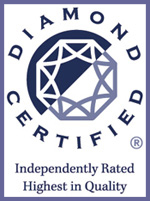 "I chose Precision as I was completely fed up with another company and looking for a Diamond Certified company that would care about customer service and finishing the job. Precision made an appointment they could keep, sent a pleasant and knowledgeable technician and completed the work same day. What a treat, finally!" "The technician was able to get our garage door working again in a short amount of time.Paulino was great! When He arrived he was on time, very courteous and greeted us with a smile. Very satisfied that we went with Precision Door Services. We would definitely recommend them!" "The Technician was great. He was prompt and had the new garage door opener installed quickly. Highly recommend Precision Door Service. Thank you!" "The technician was on time, very informative and finished repairing my garage door very quickly. I chose Precision Door Service because of the good online information on the website. I'm very happy with the results and will recommend them to all family and friends." "Precision Door Service came out and service my garage door which would only open halfway and then stop. They scheduled me same day service and they were very nice and attentive. I would recommend this business to anyone wanting great customer service and Quality Work." "Very overwhelmed with the professional work done by Precision Door Services Doors. I called Precision Door Services this afternoon, and the Technician came out within the four-hour time frame that I was promised. Technician did a great job of explaining all my options and didn't attempt to upsell me with anything. He explained all my options and what I could do if I wanted to do anything on my own. I had an issue with a broken cable, a loose chain on the opener and a wheel that was popping off the track. Even though my opener is very old, he could make the adjustments and now I probably can hold off on replacing it for a little while. I was amazed at how much quieter and smoother the door opens and closes now after he made the adjustments/repairs. When he was done, he explained everything that he did and what I could do in the future when I am ready, like add a keypad for the door. I got some very good tips on brands and types of doors and openers I should consider. Even though I may wait a bit to replace the doors, when I do, I will be calling Precision Door services for my future repair. you guys the best!!!!!" 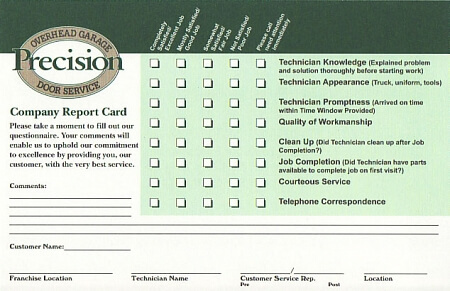 "The technician was on time, very knowledgeable and cleaned up after finishing the repair of my garage door. Great service!! I will recommend Precision Door Service to neighbors and friends. Thank you." "Great experience!!! The technician was very knowledgeable and provided high quality work in repairing my garage door. I recommend Precision Door Service to all family and friends." "The technician was very nice and courteous. He knew exactly what had to be repaired on our garage door and gave us several options. I'm really satisfied with Precision Door Service. I easily found them online and chose them because of their good reviews and are a local company." "Great service!! The technician was on time and replaced my garage door springs in an expeditious manner. He had provided a clear explanation of the work and cleaned up after the job was completed. 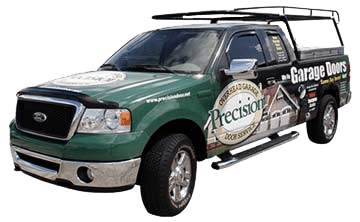 I will recommend Precision Door Service to all my family and friends. "